Television fans must love the holidays, because it’s the one time of year when studios unleash a host of massive box sets collecting their favorite dramas and comedies. This year is no different, with several critically acclaimed shows getting the complete series treatment. But while we like to devour an entire TV show just as quickly as the next person, sometimes a little self-discipline is required, which is why we’ve also included some less time-consuming (and more affordable) suggestions as well. “Justified” is one of those shows that never really got the credit (or the audience) it deserved, because it’s a sharply written and well-acted neo-Western that managed to pull off what most series have failed to do: stick the landing. 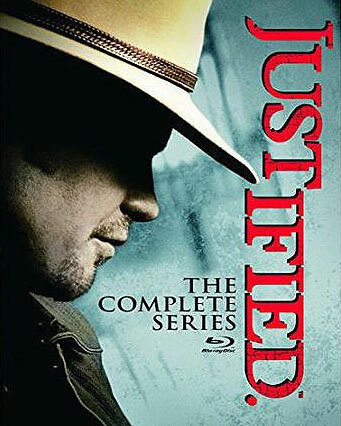 Though it started out as a more formulaic, crime of the week-type drama, “Justified” evolved into something much richer over the years by focusing on the relationship between U.S. Marshall Raylan Givens and smooth-talking outlaw Boyd Crowder, two men who grew up in the same poor, coal-mining town in Kentucky, but ended up on different sides of the law. Both Timothy Olyphant and Walton Goggins deliver strong, well-rounded performances in their respective roles, but while it would be difficult to imagine the show without either of them, the supporting cast is just as important, especially Nick Searcy as Givens’ crusty boss, Jacob Pitts and Erica Tazel as fellow Marshalls, and Joelle Carter as Boyd’s fiancée/partner in crime. The rotating cast of guest stars is also impressive, adding to the series’ rich tapestry of down-and-dirty hillbillies, criminals and lawmen to create a lived-in world that feels more genuine than just about anything else on television. The fact that “Justified” was able to maintain its high quality throughout all six seasons is pretty extraordinary, but it’s also one of the few shows to produce a satisfying series finale, and that definitely earns it a spot among the TV drama elite. With Hank Moody, David Duchovny created a character that ranks as one of the greatest hedonists in television history. “Californication” was loaded with great characters and it thrived on introducing countless examples of the bizarre and interesting people you’ll find in L.A., but everything revolved around Hank and all of his crazy exploits. He could be arrogant and often self-destructive, but watching his endless exploits with the flaky but often beautiful women of La La Land made you want to hop on a plane and rent an apartment in Venice Beach. The best part was that Hank always found a way to enjoy the ride, even as things got a little rough. Through it all he was still crazy in love with his ex, Karen, played by the lovely Natascha McElhone, and Evan Handler was excellent as Charlie Runkle, his dopey but ever-loyal agent and sidekick who had his own ups and down with his hilarious and nutty wife Marcy. Now you can enjoy all 84 episodes on 14 discs in this new box set. Give it to someone who needs to learn how to enjoy life again, or at least can use a vehicle to live vicariously through someone else’s crazy adventures. AMC’s habit of splitting each season of “The Walking Dead” into two halves has never been very popular among fans, but it worked pretty well with Season Five, which is jam-packed with so much story that you need a break in between just to process everything. Though the hospital subplot is a completely new creation for the series, the rest of the season covers a lot of familiar ground from its pre-existing source material. Of course, with each new storyline comes plenty of new characters, and the show does a good job of juggling its large cast to keep everyone happy. 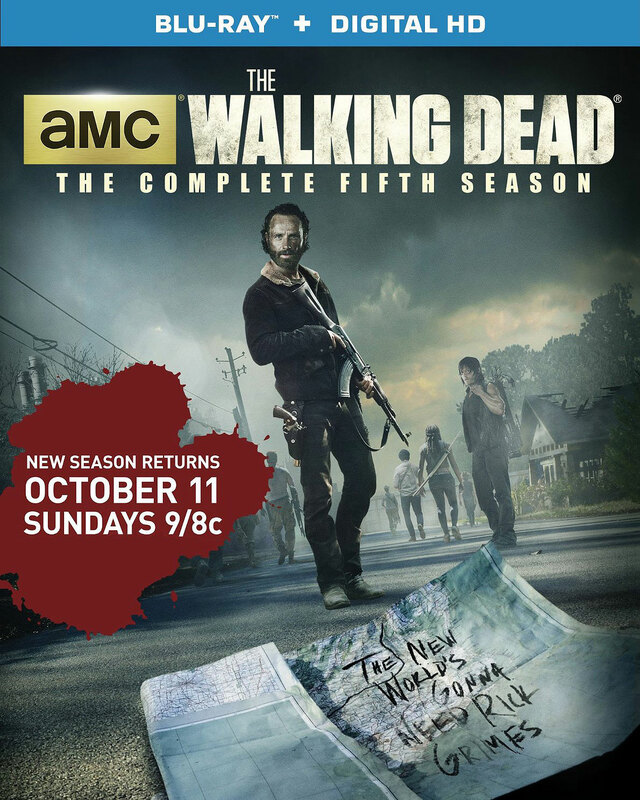 The show’s most popular characters – Andrew Lincoln’s Rick, Norman Reedus’ Daryl and Melissa McBride’s Carol – are front and center as expected, but Emily Kinney (who gets perhaps the best sendoff arc yet) and newcomers Tovah Feldshuh and Ross Marquand also shine in supporting roles. Some of the veteran cast members are shoved to the sidelines as a result, but that’s all part of being on a show like “The Walking Dead.” Though Season Five isn’t without its flaws, thanks to some great writing and interesting new dynamics among the core group, it’s easily one of the best, if not the best, seasons to date. A chilling and immensely fascinating piece of true crime that was nearly a decade in the making, HBO’s six-part docuseries takes the phrase “stranger than fiction” to dizzying new heights. Utilizing interviews with law enforcement officers, lawyers, the friends and family of Durst’s alleged victims, and in his first public interview, Durst himself, Jarecki’s investigation shines a light on one of the strangest stories in modern history. 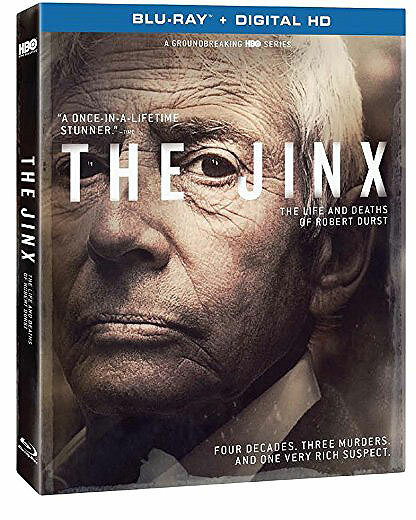 It’s no secret that Durst has since been arrested for one of the murders, partially due to new evidence uncovered by Jarecki and his team, but that doesn’t make “The Jinx” any less captivating, because it pulls you in from the opening minutes and never loosens its grasp. Durst is either the unluckiest guy on the planet or a total sociopath, and judging from the case presented against him, the evidence points toward the latter. Of course, this only makes “The Jinx” all the more entertaining, as Durst plays the role of the elitist villain to perfection, practically daring the authorities to outsmart him. Though Jarecki does mess with the chronology of certain events for dramatic effect, and probably could have trimmed some fat off each episode, “The Jinx” is so good that it’ll make you fall in love with detective stories all over again. When Steven Soderbergh announced his retirement from filmmaking, it seemed a bit premature for someone so young. But while the director has remained true to his word as far as the big screen is concerned, he’s taken his talents to the small screen in the interim, most notably with this excellent period drama from Cinemax. 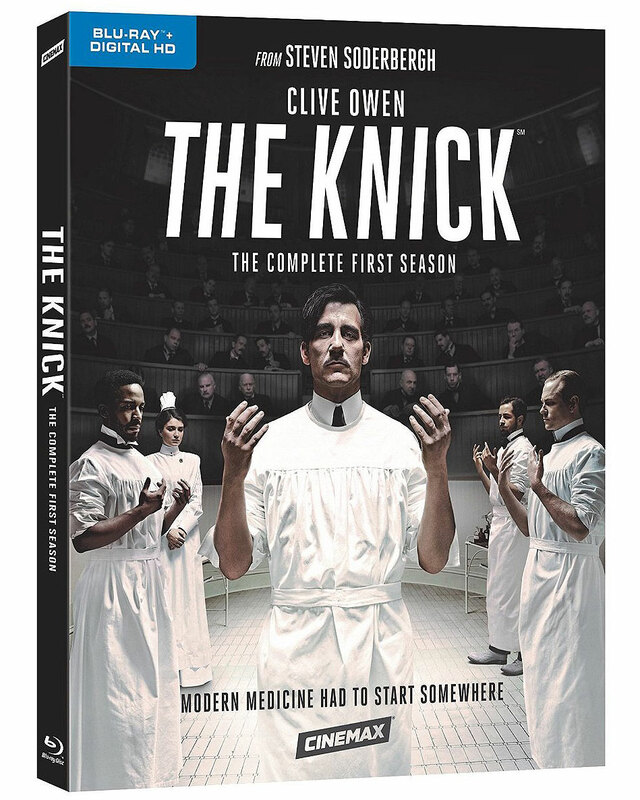 Loosely based on real-life events and people, “The Knick” is different from traditional (and more contemporary) medical dramas in that the surgical procedures actually serve the characters and story, not to mention offer a fascinating look at just how far the medical field has come since then. The supporting cast is great, particularly Andre Holland and Michael Angarano as two of the doctor in the Knick’s surgical department, but the series succeeds largely thanks to Clive Owen’s commanding lead performance. And because Soderbergh directed and shot every episode, it’s also one of the best-looking shows on television. Though the first season starts to drag in the last few episodes due to lackluster subplots involving Typhoid Mary and a jealous surgeon, “The Knick” is a well-acted prestige drama that deserves to be on a much bigger stage like HBO. 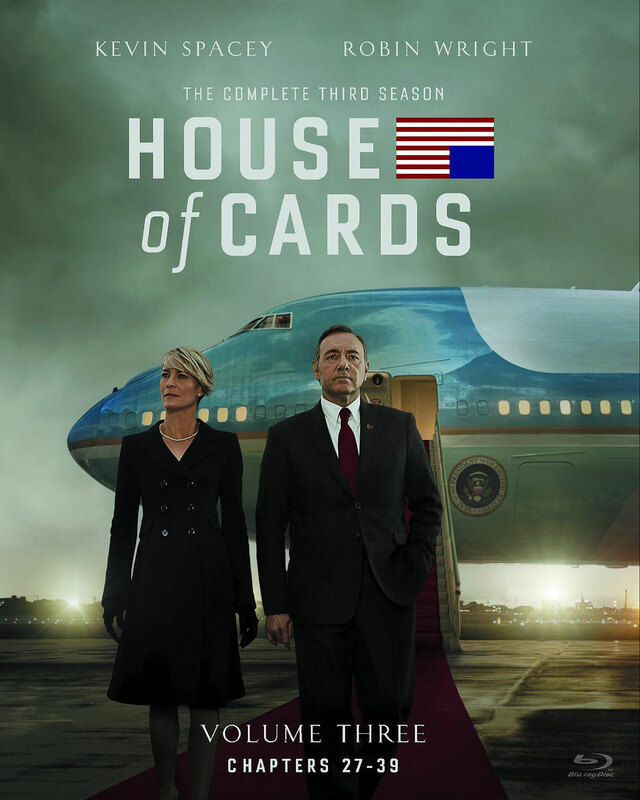 The first two seasons of “House of Cards” delivered such top-notch storytelling that it was never going to be easy replicating it a third time, but while Season Three isn’t without its problems, it’s still an incredibly well-acted and sharply written drama that ranks as one of the best shows on TV. Though it certainly makes sense why creator Beau Willimon would want to take the series in a slightly different direction – with Frank no longer several steps ahead in his scheming, but rather struggling just to keep his head above water – the story feels a little stretched creatively. For starters, the rock-solid relationship between Frank and Claire is fractured far too easily for a couple that supposedly makes each other stronger, while the whole Doug subplot isn’t engaging enough to warrant spending an entire season on. Some stories work better than others, but the ensemble cast continues to fire on all cylinders, including newcomers like Kim Dickens and Paul Sparks. Still, “House of Cards” is Kevin Spacey and Robin Wright’s show, and they never let you forget it, because even when they’re saddled with mediocre material, the two actors command the screen like no other couple on television. Bruno Heller’s “Rome” is one of the most underrated TV series of the past decade, so when it was announced that he was producing a crime drama centered around a young James Gordon in pre-Batman Gotham City, that’s pretty much all it took to get us onboard. Unfortunately, despite Heller’s insistence that “Gotham” isn’t about Batman, the numerous villains that pop up throughout the first season suggests otherwise, turning the series into something quite different than even Heller himself probably intended. 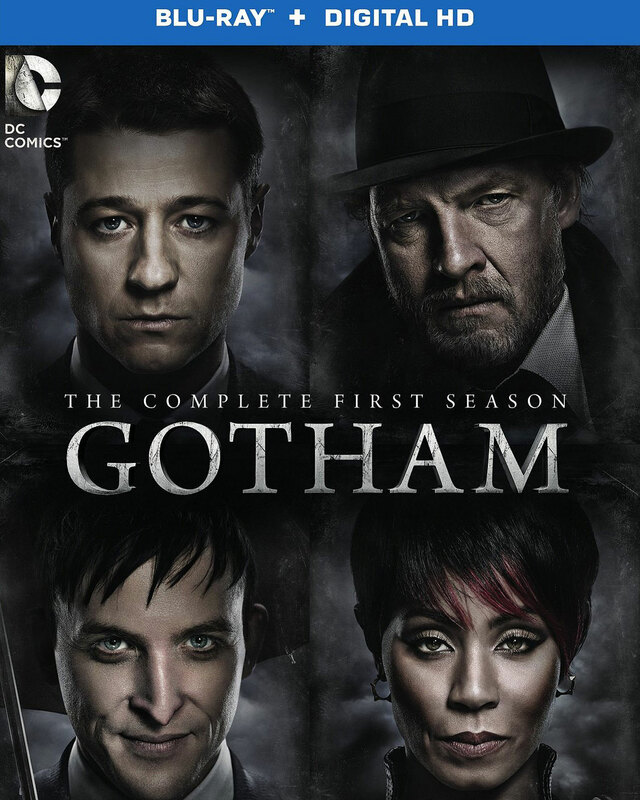 The allure of exploring the various origin stories of Batman’s rogues’ gallery (arguably the best in all of comics) was undoubtedly too enticing to pass up, so it should come as no surprise that the villains – particularly Robin Lord Taylor and Jada Pinkett Smith – are the stars of the show. Ben McKenzie also fares well as the idealistic Gordon, but his character takes a while to grow on you due to some shoddy writing. And that’s the biggest problem with “Gotham” – it’s an incredibly mixed bag that succeeds as often as it fails. For every great episode, there are two more that fall flat, and while the show starts to find its groove in the latter half, that inconsistency prevents Season One from being anything more than a mildly enjoyable experiment that needs to iron out those wrinkles if it ever hopes to make the most of its potential. Frankly, we’re still not completely over the loss of “Parks & Recreation,” which remains one of the funniest efforts offered up by NBC in this millennium and, based on the network’s current offerings, isn’t likely to lose that status anytime soon. To be fair, it’s a little disappointing that such an awesome series didn’t get much more than a glorified repackaging of the individual season sets, but since each of those sets featured a variety of bonus features, it seems like nitpicking to complain but so much. There are so many deleted scenes, bloopers, webisodes, music videos and other assorted bonus bits, like the tribute to Li’l Sebastian, a look back at Mouse Rat and so forth. 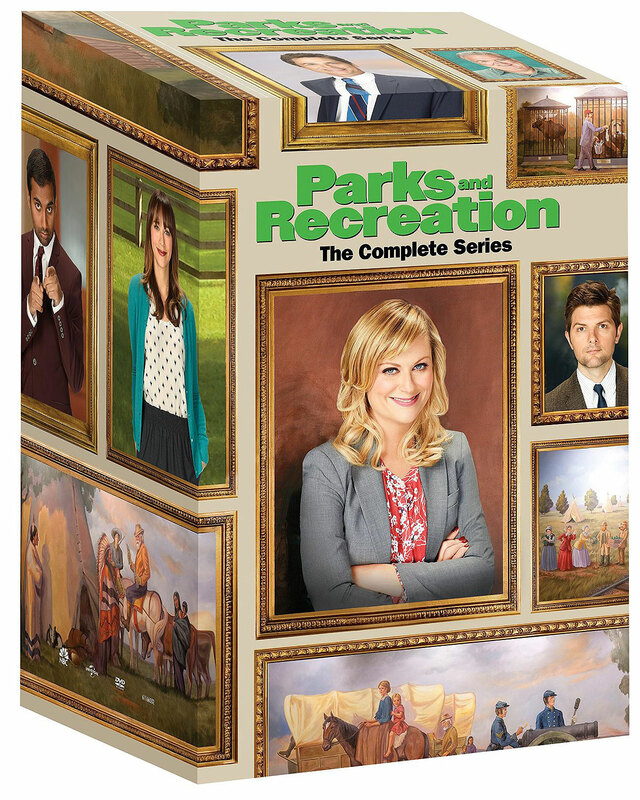 Any time you feel the need to take a trip back to Pawnee, Indiana, this is the perfect way to do it. 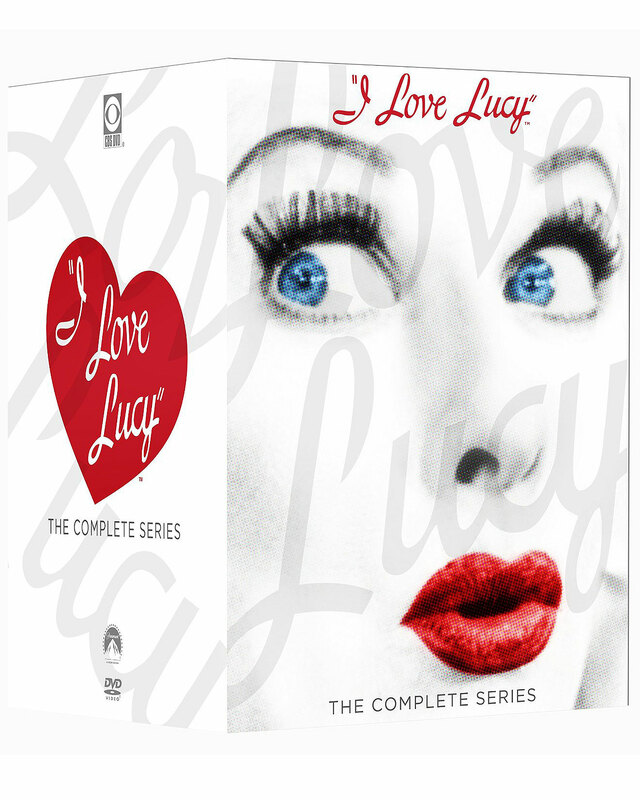 This 29-disc DVD collection is the ultimate gift set for fans of “I Love Lucy,” with all 180 episodes of this timeless classic starring Lucille Ball and Desi Arnaz. It’s perfect for those family members who remember when Lucy and Desi ruled television or for anyone who appreciates great comedy. “I Love Lucy” was voted as the Best TV Show of All Time by ABC News and People in 2012, and is certainly one of the most influential television shows in history. The humor stands the test of time due to Ball’s incredible talent and her chemistry with real-life husband Arnaz and sidekicks Ethel and Fred. Just pull any disc from this set and get ready to laugh. 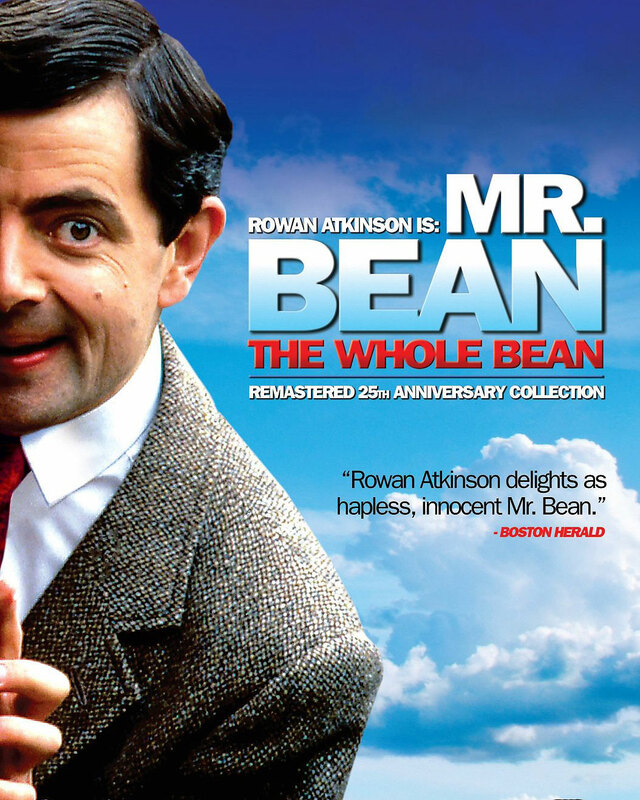 The episodes include classics like Lucy and Ethel at the chocolate factory or Lucy squishing grapes with her feet to make wine, along with many that you’ve forgotten or never seen but can still make you laugh out loud. Extras include the lost pilot episode, outtakes, lost scenes and more. You may praise the more recent take on “Battlestar Galactica” as being the only true “Galactica” if you so desire, but you would be wrong. 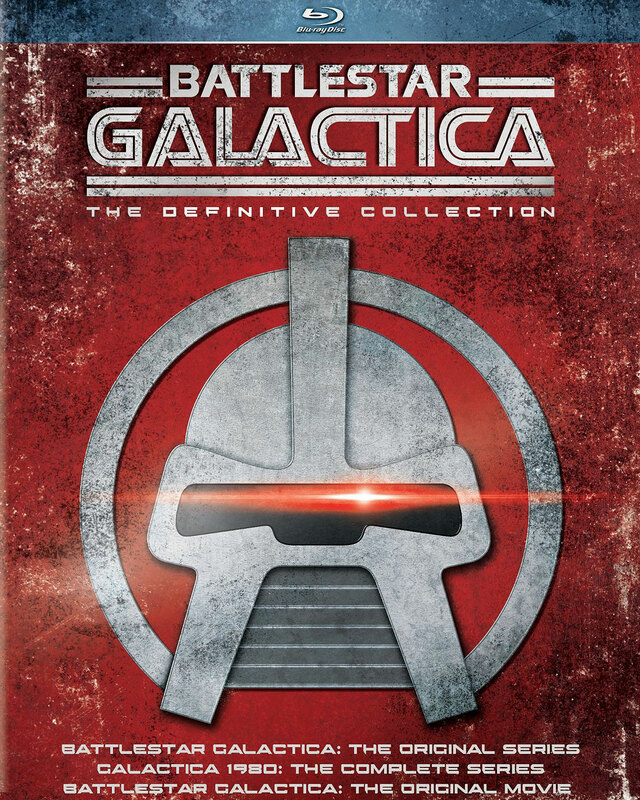 Yes, it might be the best “Galactica” in the long run, but there are plenty of people out there who still swear by the original ‘70s series, and if you’re one of those folks, then you’ll start to drool when you see this set, which includes “Battlestar Galactica: The Original Movie,” “Battlestar Galactica: The Original Series” and “Galactica 1980: The Complete Series,” all remastered in widescreen and HD for the first time. 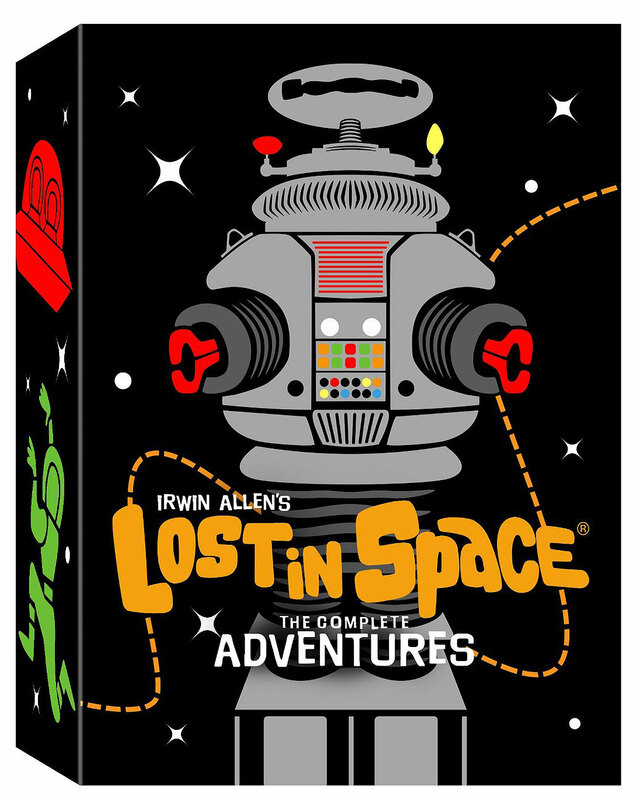 As if that wasn’t enough, there’s also a collection of deleted scenes, a 45-minute retrospective on the original series, an interview with Glen Larson, a mini-doc on composer Stu Phillips, who wrote the music for the series and more. Sure, your mileage may vary if you’ve grown up with big-budget special effects and CGI, but if you’re a child of the ‘70s, it’s a must-own. Although it’s often overshadowed by “Star Trek” in the field of Best ‘60s Sci-Fi Series, “Lost in Space” has maintained a strong fanbase over the years, one which kept begging and pleading for a properly-remastered complete series set. Finally, those fans have gotten their wish, and it is glorious, but 20th Century Fox has really gone above and beyond with the bonus material, offering over eight hours of groovy stuff. The best of the bunch by far is a performance of “Lost in Space: The Epilogue” by the surviving cast members, providing closure to the series that viewers never actually had a chance to receive, and there are also new interviews with the cast to commemorate the series’ 50th anniversary. In addition, there are original TV commercials and bumpers, the 1973 animated special that was intended as a pilot, two full-length documentaries, a replica of Billy Mumy’s script for the first episode, a blueprint of the Robot and eight character cards. Yes, there are some cheesy moments within the series, but it’s fun from start to finish, and this is as perfect a celebration of its 50th anniversary as fans could ask for. What do you buy the James Bond fan that already owns the entire series (maybe even a couple times over?) 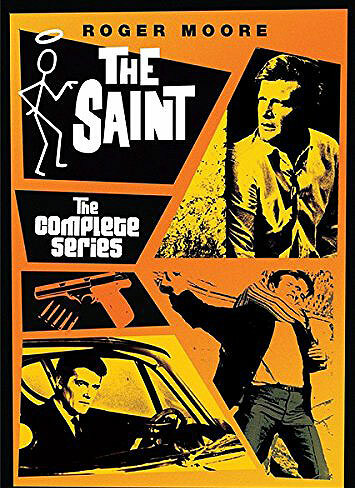 We highly suggest this complete set of “The Saint,” starring the man who played Bond longer than anyone else, Roger Moore. Based on a series of novels by Leslie Charteris, the series follows the exploits of Simon Templar, a Robin Hood sort of character who aids the less fortunate on a weekly basis. Though Templar doesn’t work for MI-6, Moore’s acting style is so one-note, and the situations in which he finds himself so frequently spy-like, that the character is nearly indistinguishable from his James Bond. It almost feels like years’ worth of 60s TV featuring a version of his movie character from the 70s and 80s. The show is slick and beautifully shot on film, with about a 50/50 split of black & white and color episodes. What’s perhaps most stunning is the ongoing roster of guest stars, including Honor Blackman, Julie Christie, Samantha Eggar, Oliver Reed, Michael Gough, Carol Cleveland, Donald Sutherland, Lois Maxwell and Jean Marsh, to name just a handful. Though this massive 33-disc set is lean on extras, it does feature a number of audio commentaries, including a half dozen with Moore himself. 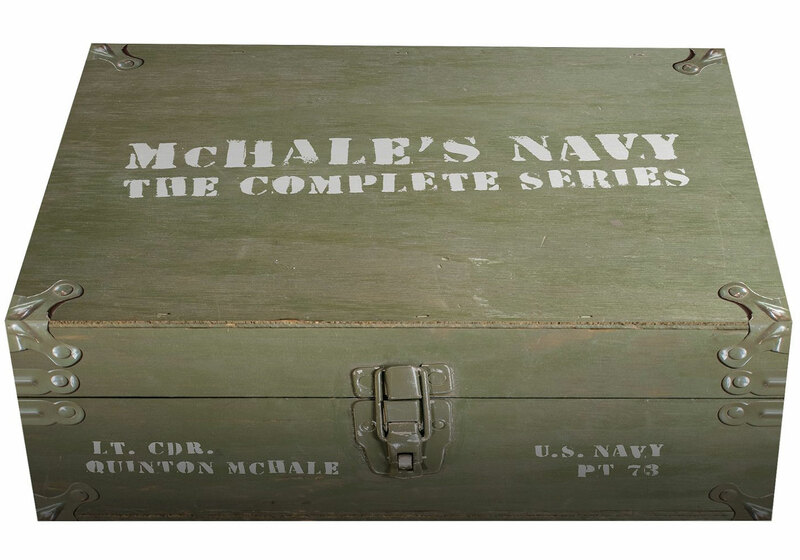 Not every sitcom from the 1960s has held up, but one that continues to maintain its fanbase is “McHale’s Navy.” You can probably chalk that up to the fact that, well, we still have a Navy, and in the grand scheme of things, more has stayed the same about the service than has changed, so the laughs are still there even in glorious black and white. Of course, one of the other reasons the series is still funny is because of its cast, which includes Ernest Borgnine, Tim Conway, Joe Flynn, Carl Ballentine and Gavin McLeod, among others. This complete series set from Shout Factory isn’t just the series, either: it also includes the two full-length feature films that hit theaters during the show’s run – “McHale’s Navy” and “McHale’s Navy Joins the Air Force” – as well as the original pilot episode of the series and a special feature, “The Crew Reunion,” which was filmed a few years back and brings together Borgnine, Conway, Ballentine, Bob Hastings and Edson Stroll. If the names Jo, Blair, Tootie and Natalie mean something to you, no doubt you were a child of the 80s. If you were a boy during that time, it was an extended peek into the mysterious world of girls, something you knew little about, but were eager to understand. If you were a girl, however, it was surely akin to a “how to” guide – a weekly half-hour example of how to mature sensibly, with ample amounts of humor and heart along the way. 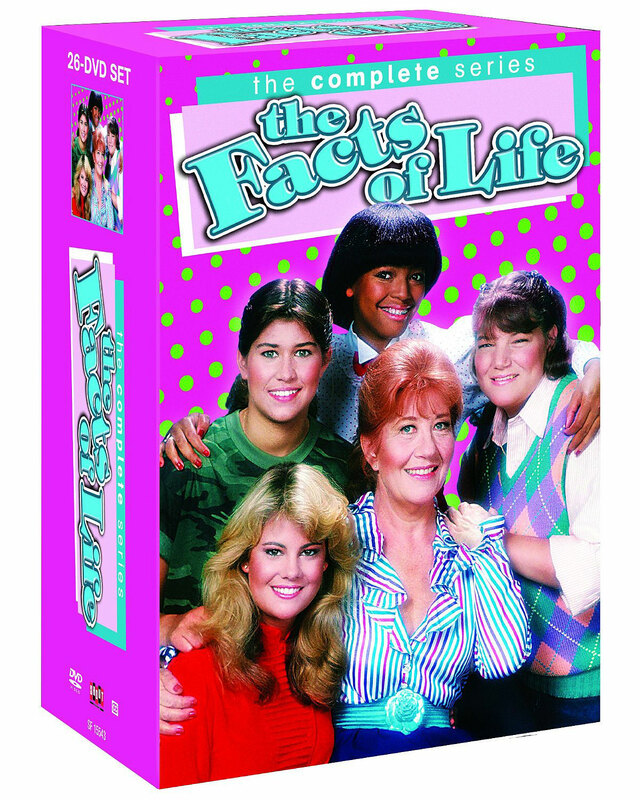 Perhaps the single most striking aspect of “The Facts of Life” today is how it affords viewers the ability to watch four awkward, aimless girls slowly grow into four assured, graceful young women. Despite the shoulder pads and rotary telephones, the series works as well today as it did 30 years ago, as the weekly lessons learned by these girls mostly transcend the passage of time. Spread across 26 DVDs, all nine seasons, alongside the TV movies where the girls travel to Paris and Australia are included here, as well as the episode of “Diff’rent Strokes” that served as a pilot for the series and a 2014 cast reunion put together by the Paley Center. Oh, and gratuitous amounts of a hunky young George Clooney. Not nearly as well known or celebrated as its parent series “All in the Family,” “Maude” is nevertheless every bit as worthy of being talked about in the same conversations about groundbreaking television. Whereas Archie Bunker was a wicked skewering of conservative values and attitudes, Bea Arthur’s Maude Findlay, arguably series TV’s first feminist, is taken to task on a weekly basis for her bleeding liberal heart. The 47-year old is on her fourth husband, played to sly perfection by Bill Macy, and has a grown daughter (Adrienne Barbeau), a single, liberated mother herself who in turn has an 8-year old son. All four live together in Tuckahoe, New York next door to a stuffy Republican doctor, played by Conrad Bain of “Diff’rent Strokes” fame, and his wife, played by no less than Arthur’s future “Golden Girls” co-star Rue McClanahan. The series thrives on exploring hot button issues of the day, and is no stranger to frequent multi-part stories, both of which are exemplified by the groundbreaking first season two-parter “Maude’s Dilemma,” in which Findlay discovers she’s pregnant and decides to abort. 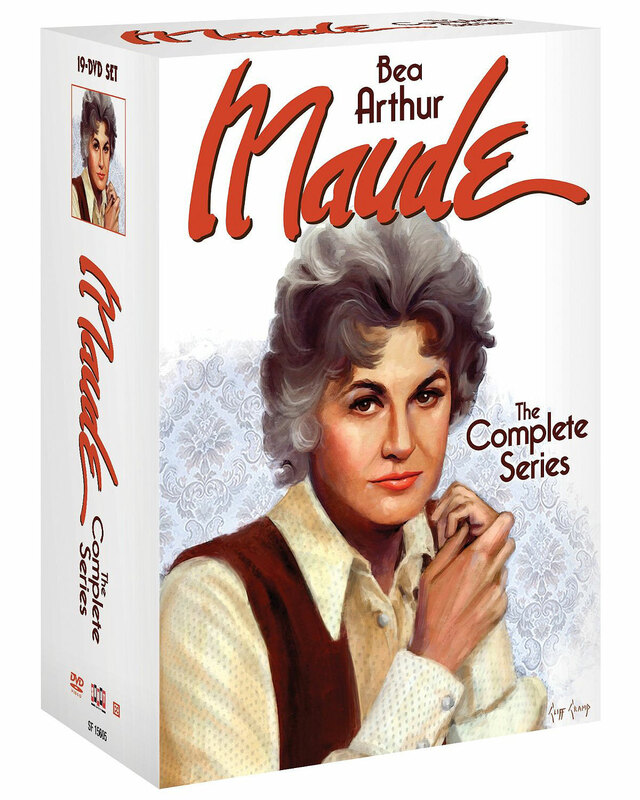 This handsome 18-disc set includes all six seasons, as well as both “All in the Family” episodes in which Maude first appeared, two unaired episodes and a trio of featurettes.